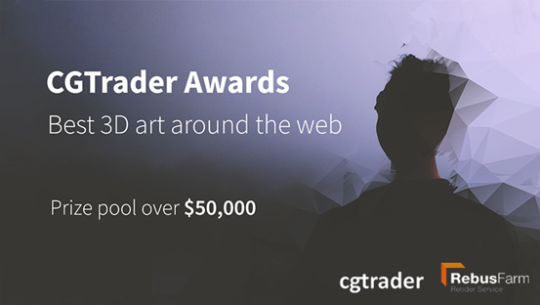 We love to interact with the CG community that’s why this time we’ve partnered with CGTrader Awards - a digital design competitions triving to spot and acknowledge the best 3D artworks globally organized by CGTrader. The competition’s aim is to engage both CGTrader’s own community and artists around the world to show the projects they are proud of the most. For this competition, CGTrader is looking for unique images from artists’ portfolios that fit at least one of the six categories: character, cartoon, environment/scene, sci-fi, fantasy and photorealism. Artists can submit any artwork from their portfolio, whether new or created a while ago. “Artists can submit their artwork until December 1st, 2017, and the winners will be announced December 18th, 2017. Though this is the first time we are running this type of awards, we truly believe that global artist community will enjoy the challenge and this will become an annual tradition” - says CGTrader Awards coordinator. We at Escape Motions wish a good luck to all the 2017 CGTrader participants!